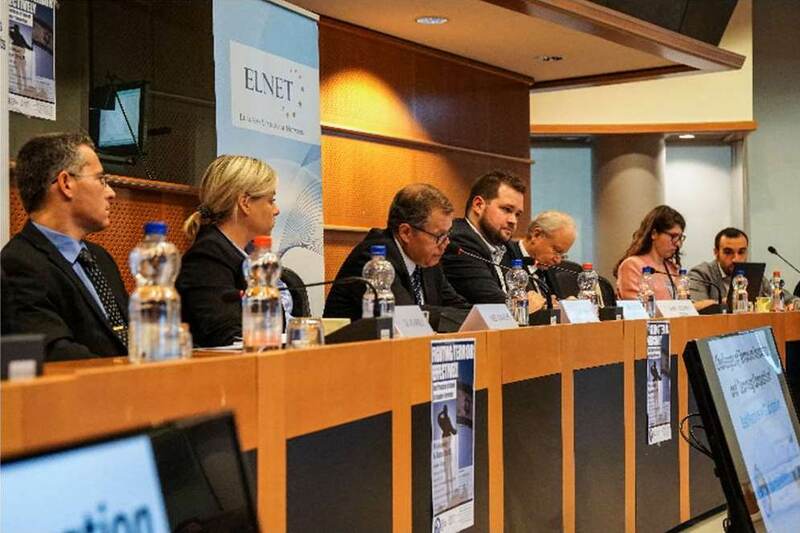 The European Leadership Network (ELNET EU & NATO) in cooperation with the Danish Member of European Parliament (MEP), Anders Vistisen (European Conservatives and Reformists Group), organized together a conference on the topic of “Fighting Terror Effectively: Best Practices of Israel in Counter-terrorism” in the European Parliament on 6 June 2018. Therefore, we invited two Israeli experts, Col. Eldad Shavit and Dr. Gil Ad Ariely. MEP Vistisen announcing our conference at the European Parliament in Brussels on the Israeli expertise in Counter-terrorism on 06 June 2018. Eldad Shavit joined the Institute of National Security Studies (INSS) in early 2017 as a Visiting Fellow following a long career in the IDF Intelligence Corps and the Prime Minister’s Office in Tel Aviv. Dr. Gil Ad Ariely is the Chief Knowledge Officer (CKO) and a Senior Researcher at the Institute for Counter-terrorism (ICT). Dr. Ariely is a leading expert on managing operational knowledge in critical environments, crisis management and preparedness. The conference in the European Parliament was introduced by MEP Vistisen himself, followed by some introductory remarks by the Israeli Ambassador to the EU & NATO, H.E. Aharon Leshno-Yaar. The first speaker started with an overview of the regional arena and highlighted the role of the key players in the region. He then focused on role of the Iranian regime, laying out its support to Hezbollah, but also highlighting the role of Shia as well as Sunni organizations (such as the Palestinian Islamic Jihad, Hamas and the Palestinian Authority) in the region. He also explained the importance of the Quds forces who serve as the spearhead of Iranian activities, which all in all make Iran capable of using each of its tentacles in different states and to a different degree of influence in the region. A clear objective of Iran over the last months, according to the speaker, was to build a corridor to the Mediterranean going through Syria and Lebanon and thus directly threatening Israel. The second part of the presentations focused on the operational side of counter-terrorism as well as the dimension of innovation in (countering) terrorism. The speaker in this context also explained the concept of learning competition among the terrorist organizations and versus the services who counter them. According to the Israeli expert, lone terrorist attackers (sometimes referred to as “lone wolf”) use simple measures and daily objects which can be described under the concept of “disruptive innovation”. Disruptive innovation is when a simple technology disrupts the “market” in new ways – which is the case when objects from our daily lives are used as weapons (as e.g. knives, lorries, or even the simple use of chemicals from pesticides) for terrorist attacks. A recent example in this context are the flying fire kites sent from Gaza to Israel with dangling coal to set fire to Israeli farmland and forests. The Israeli army was able to adapt and react in real time and used drones to catch 400 out of the 600 flying fire kites in the past weeks. When concluding, the speaker highlighted that the most important challenge in the field of counter-terrorism is to raise awareness within the public and strengthen the public resilience towards terrorist attacks. Moreover, he suggested that there is still not enough cooperation happening among EU member states, left alone between the EU and Israel after all those attacks in Europe in recent years, despite the fact that cooperation is the key to success. The roundtable ended with the insight that in order to beat a terror network you need to create an international and global network with many players involved. In this regard all speakers and participants highlighted the importance of cooperation between allies such as the EU and Israel. The roundtable in the European Parliament welcomed more than 50 people, including several MEPs, as well as Policy Advisors of the European Parliament. It also included EU officials from the European External Action Service and the European Commission, as well as the diplomatic missions in town.